Who is ready for an excuse to get dressed up and have a night out in the beautiful city of Houston to support our deployed service members? 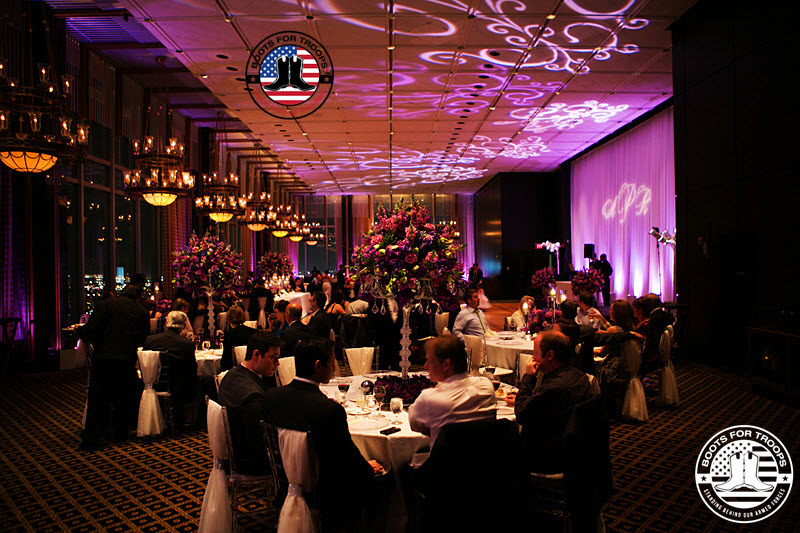 Here is your chance, Houston area non-profit Boots For Troops has set a date of June 9th for the organization’s annual Gala event at the gorgeous Petroleum Club of Houston. The Petroleum Club of Houston opened January 31, 1946, when the Petroleum Club’s charter was secured from the State of Texas. The Club’s original location was atop the Rice Hotel in Downtown Houston. To meet the requirements of an increasing membership and the greater demands for its services, the Club moved the 43rd and 44th floors of the ExxonMobil Building in 1963. In January of 2015, The Club began its next chapter from the 35th Floor, penthouse level, of Total Plaza located at 1201 Louisiana. The Petroleum Club of Houston is the consequence of a vision, vigorous effort and accomplishment. The vision was shared originally by Wilbur Ginther, Howard C. Warren and Harris Underwood. The effort was expended by a score of men and the accomplishment is one of the nation’s finest, most attractive clubs, towering above Houston’s busy commercial avenues. Boots For Troops will welcome a true American hero to speak at this year’s Gala. Retired U.S. Army Captain, Chad Fleming is a highly decorated war hero who deployed 5 times after becoming an amputee. Captain Fleming has been deployed overseas six times with the U.S. Army’s elite 75th Ranger Regiment in support of both Operation Enduring Freedom and Operation Iraqi Freedom. He has been wounded in combat on three separate occasions and has undergone 23 surgeries, one of which resulted in a trans-tibial amputation of his left leg. After serving with distinction and receiving numerous awards and decorations, including the Meritorious Service Medal, two Bronze Star medals with Valor, and three Purple Hearts, he retired from active duty and still serves our country in other capacities. Numerous Fortune 500 companies have asked Chad to bring his message of resilience, perseverance, and his “Never Quit” attitude into their companies to help build their corporate teams. “I’m super excited to have Capt. Fleming join us this year, He is an inspiration to me, and he should be to all Americans”, Said Jimmy Rogers, U.S. Navy Veteran and Boots For Troops Co-Founder. Boots for troops mission is to uplift and empower the overall morale and mental well-being of deployed U.S. service members defending freedom. 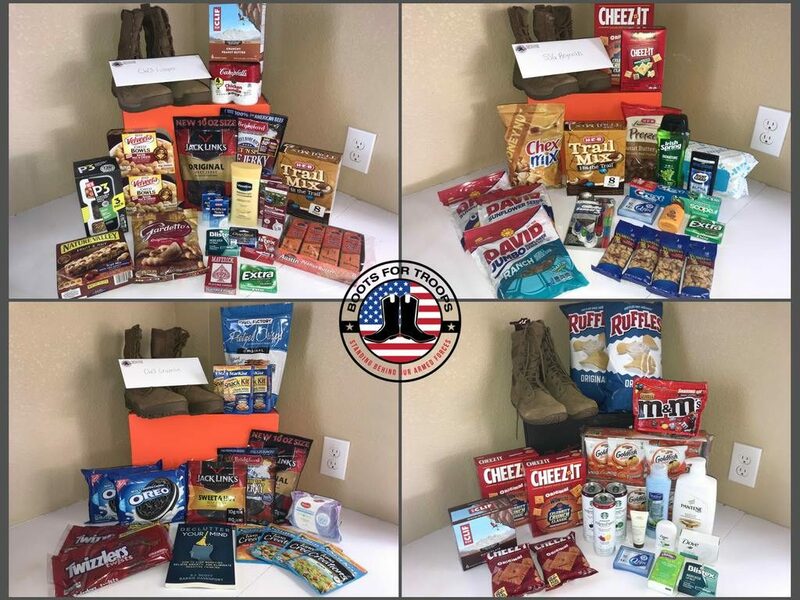 The organizations custom care package is extremely popular in the active duty community. The Gala will include a cocktail hour, dinner, dancing and live auction with all proceeds to benefit Boots For Troops programs. The organization is looking for sponsors for the event. If you are interested in sponsoring, purchasing a table, ticket or just want more information about the Gala please contact Boots For Troops office at 281-789-7567. Tickets go on sale March 4th.